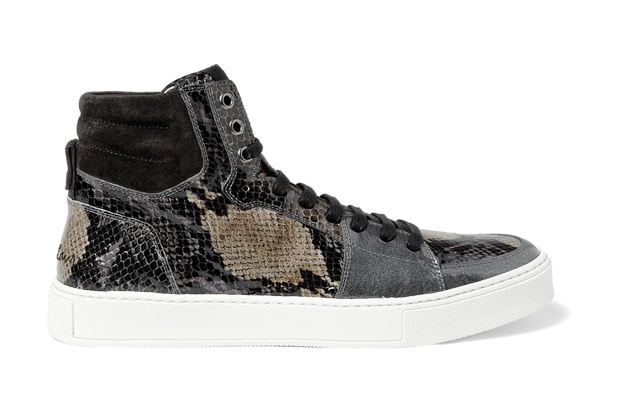 French company Yves Saint Laurent releases images of their latest High Top sneaker model that comes with a lot of bold patent leather snake skin print. The shoes are a mixture of black and charcoal grey blends white a white outsole for a fun stylish look heading into the summer season. 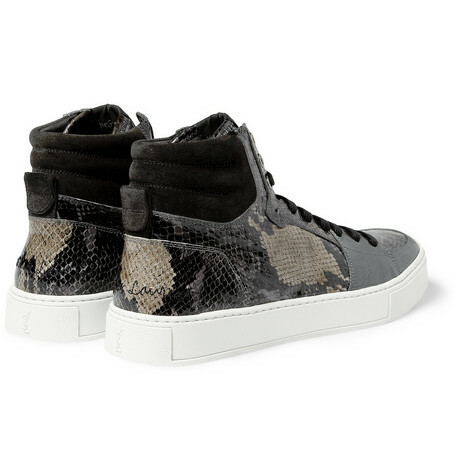 Yves Saint Laurent gives its footwear an exotic edge with these snake-print high tops and are available now at Mr. Porter’s website for $525.